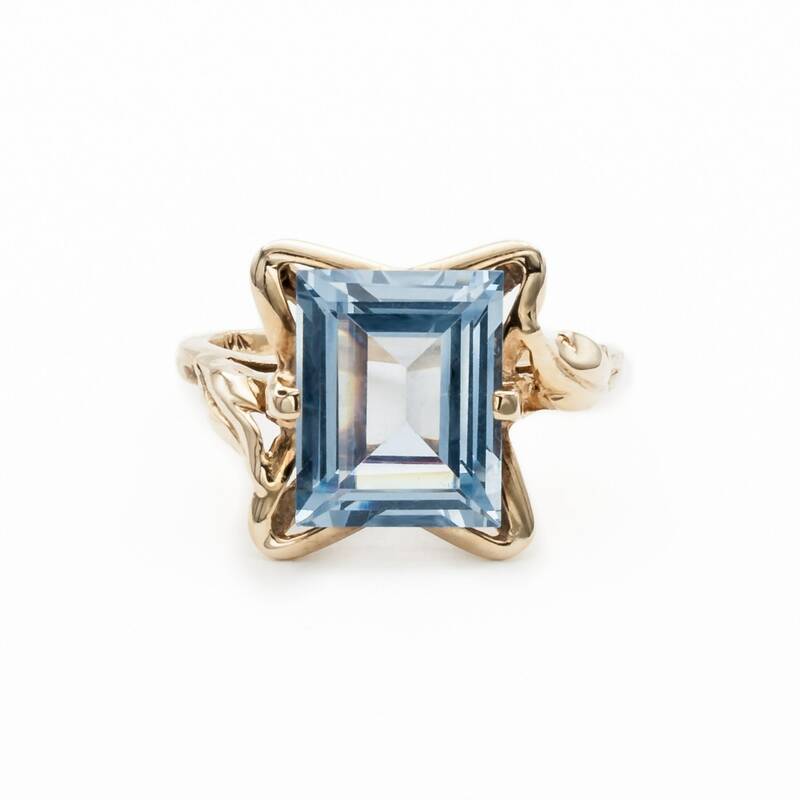 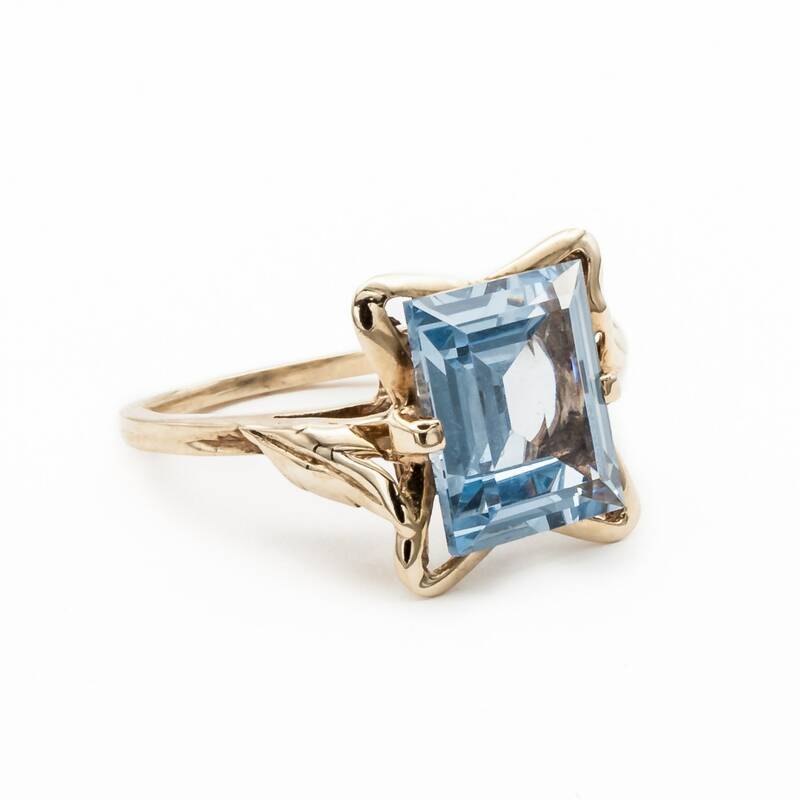 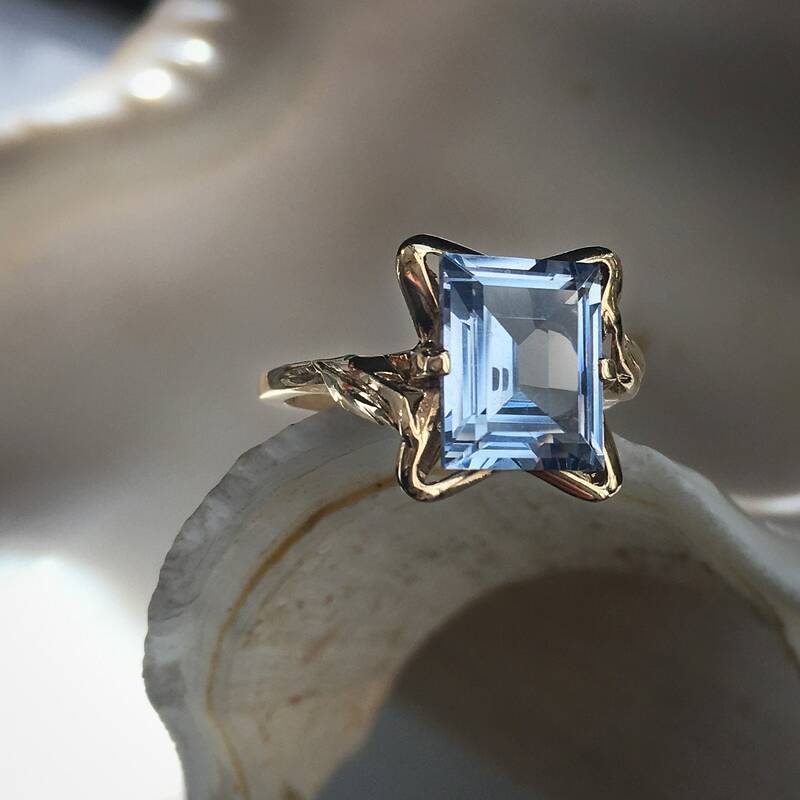 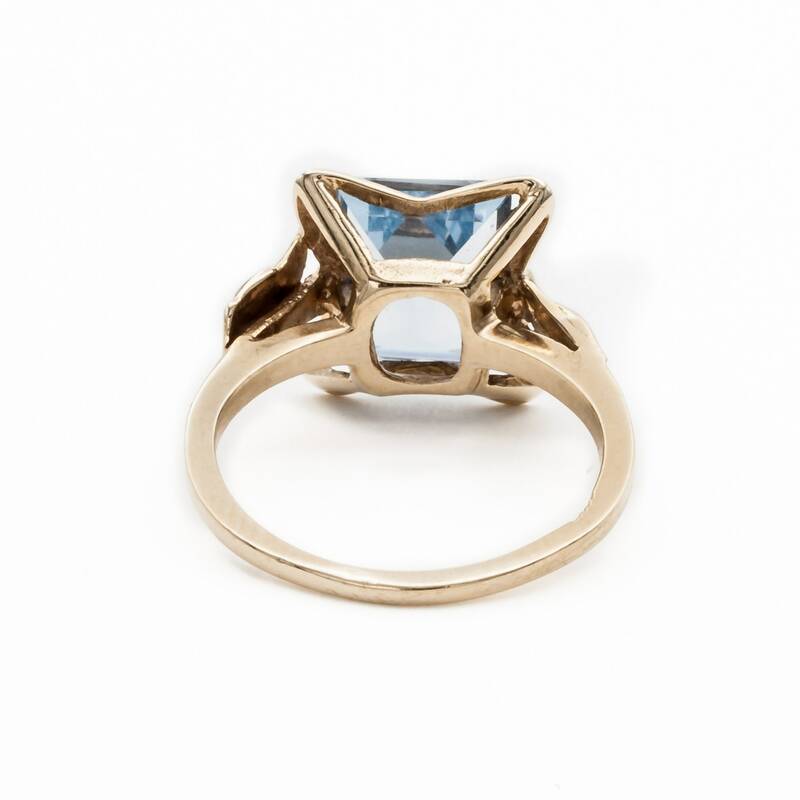 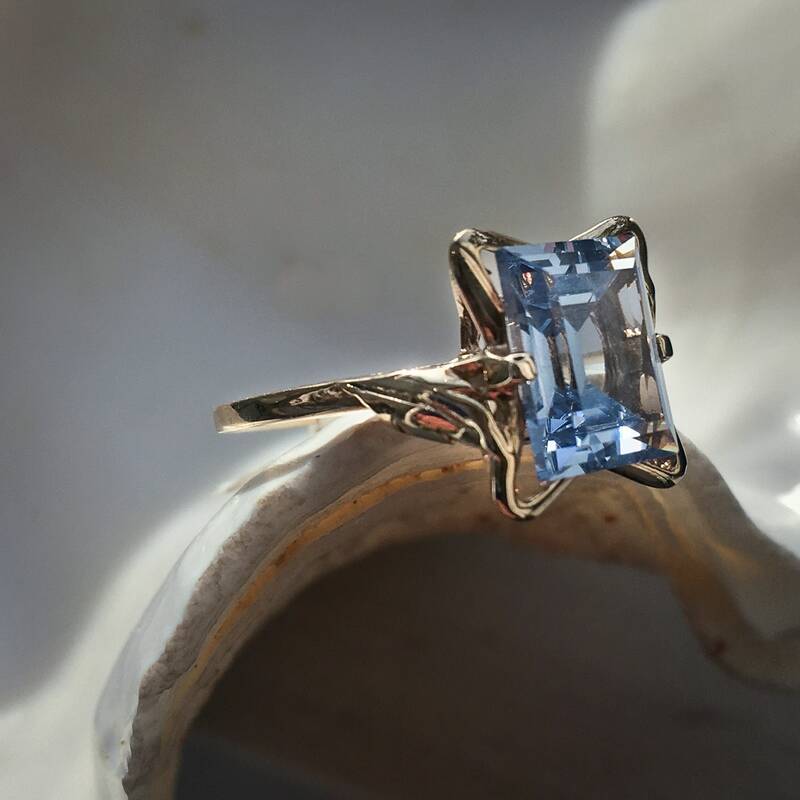 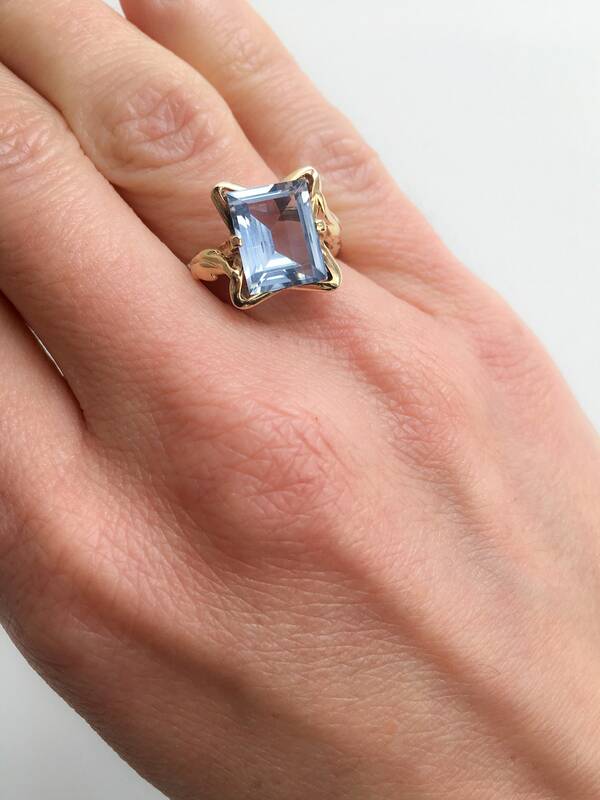 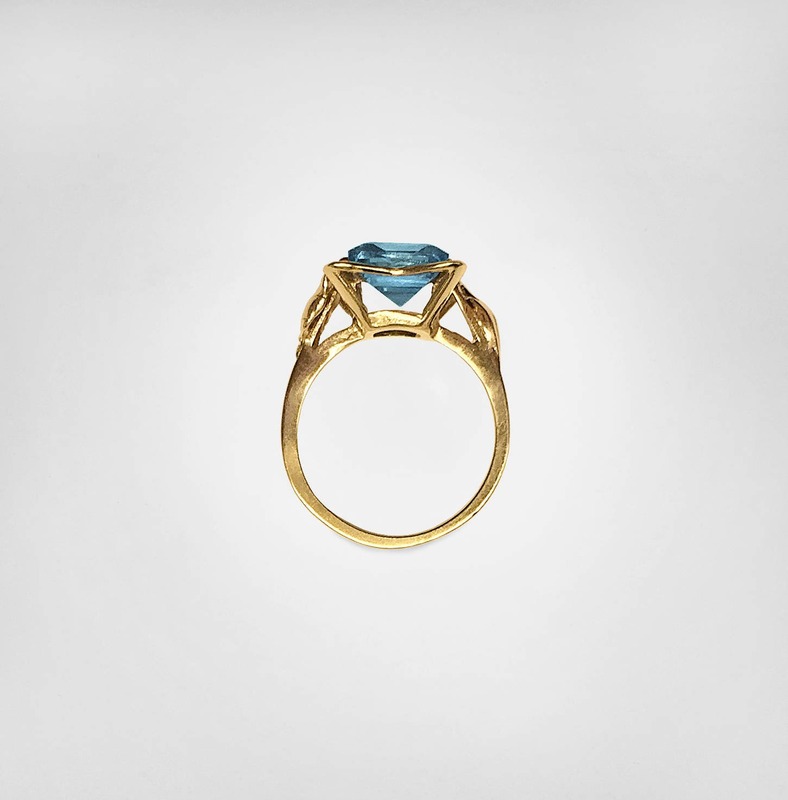 This vintage 1950's engagement/dinner ring of 10K Yellow Gold is prong set with a fine step cut synthetic Aquamarine which measures 10 x 8.5 millimeters. 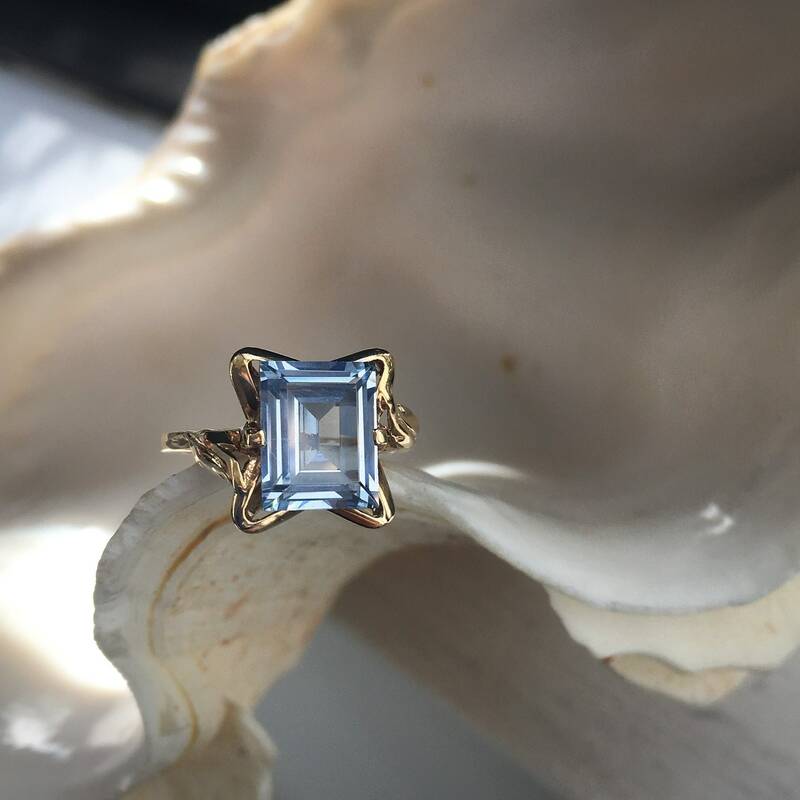 This elegant looking ring has never been worn... we found it at the bottom of one of our vaults along with some of our other vintage jewelry. 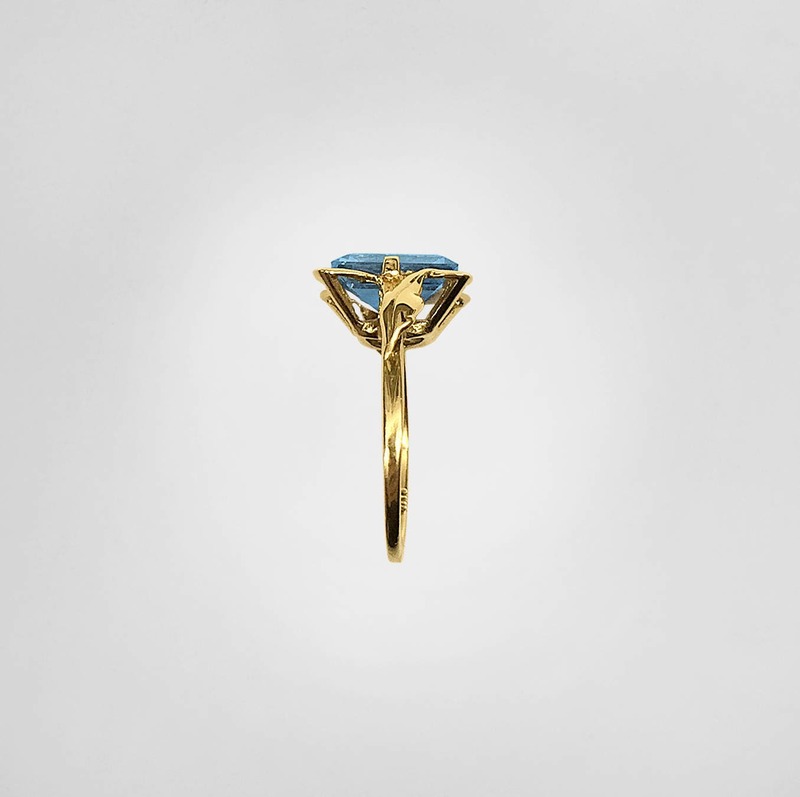 The mid-century motif is sculptural in feel and substantial in its gold weight. 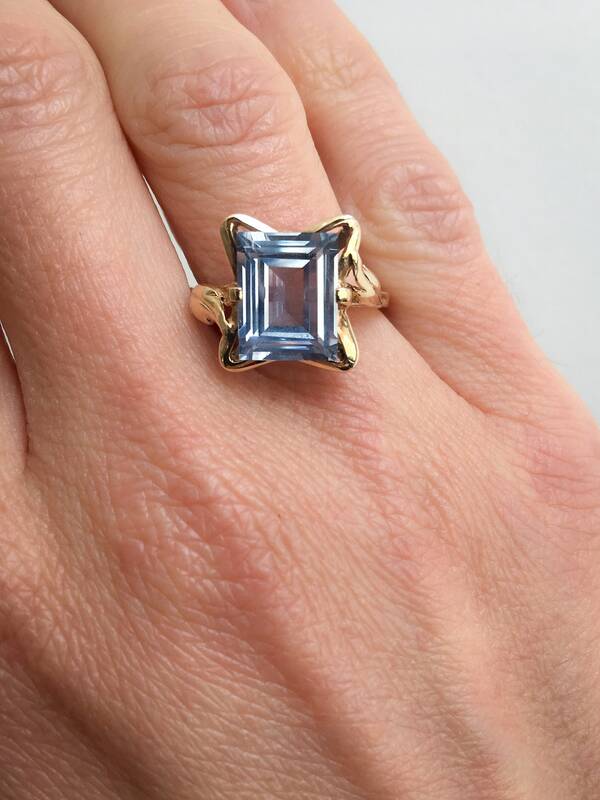 The ring is currently a size 6 but could be sized easily to fit your finger.